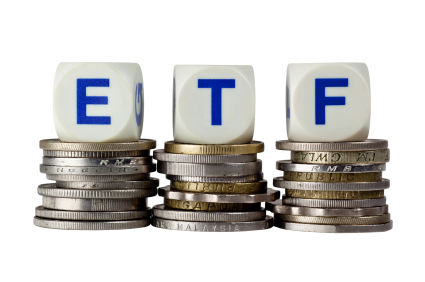 ETF, also known as Exchange Traded Fund has been generating a lot of curiosity in the investor community in the past few years. Indian investors are yet to discover the power of this investment vehicle and are still confused with the myths, "hidden charges" and other things surrounding it. In this article, we will try to put forward the concept of the Exchange Traded Funds. An ETF is a unit which tracks a particular index, fund or a commodity. It is similar to an underlying of a that index, fund or commodity. It also is similar to an equity share in the sense, it can be bought, sold, held in your demat for years just like an any other stock. The price of an ETF is again determined by the demand and supply but usually trades at around a particular % of an index or commodity if it tracks it. Eg: NIFTYBEES is an ETF which tracks NIFTY and is usually 1/10th of the the NIFTY INDEX. Suppose NIFTY is at 5700, NIFTYBEES will trade approximately around 570 (The difference might be due to demand and supply). Now NIFTY moves up to 6000. NIFTYBEES will now trade at approximately 600. An ETF can be bought and sold just like a normal equity share during the market hours and the units are settled on T+2 basis. The cost for buying the ETF is the normal brokerage which you pay for your cash segment transactions. Yes, as an ETF is just like an equity share, you can trade it at intraday brokerage charges as well. 4. What are the costs associated with an ETF? Apart from the normal brokerage costs, ETF's generally have an expense ratio which is charged for their administrative expenses. This costs usually ranges from 0.5%-1.25% per annum. This rate in India is pretty high compared to what it is in other developed countries. It is ideally 0.2%-0.3% there and is expected to come down in India as well over the coming years. Once again, it is the same as equity shares. The Short-term capital gains tax and the Long-term capital gains tax is the same for ETF and equity shares. End of part 1. Click here to read Part 2. 1. How to open a demat account? 2. How to place a Stop Loss?